Surrounded by the darkness of the Imperium Nihilus, Vigilus is a world beset by horrors, but the most insidious threat is one that has emerged from within. The mutated xenos-human hybrids of the genestealer Cults have hidden in the shadowy depths of Vigilus’ hivesprawls for generations. Now they have arisen to slaughter their Imperial oppressors and prepare the world for the coming of the Star Children. While the planet’s defenders fight desperately to hold off hordes of invaders, a strike force of Space Wolves sets out to hunt down the cultist insurgents, find the source of the Genestealer Curse and purge their enemy from existence. 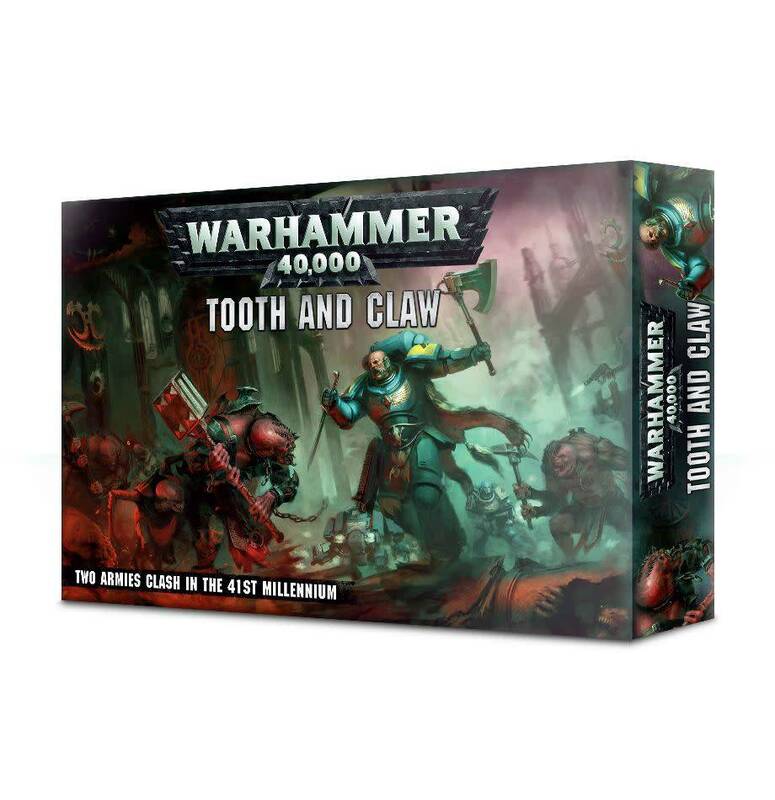 - A miniatures showcase featuring a beautifully painted examples of the miniatures in Tooth and Claw. - Points values for every included miniature, for use in Matched Play. - A Space Wolves Primaris Upgrade frame, featuring 5 Intercessor shoulder pads, 1 Intercessor Sergeant shoulder pad, 3 Aggressor shoulder pads, 3 heads, unmistakably Space Wolf in origin – 1 helmeted, 1 with mohawk and beard, 1 with fully spiked hair, 1 right arm holding a chainsword, 1 left arm drawing a knife from its sheath and 7 accessories: 2 wolf tails, 2 pouches, 1 necklace, 2 diamond shaped amulets. 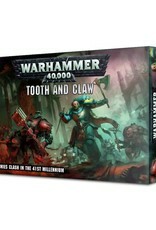 - 8 Genestealers, multi-limbed monstrosities are armed with rending claws and scything talons, and the kit includes a number of toxin sacs along with an infestation node.